And now a new project has brought together the stories of many of the hundreds of men, women and children who transformed Buckie into “Little Norway” in the 1940s. The initiative, which has been carried out in a partnership between Buckie and District Fishing Heritage Centre and Professor Peter Reid at Robert Gordon University, highlights a remarkable story which has been largely forgotten. It demonstrates how Buckie even had a Norwegian Consulate during the conflict, while a Sjomannskirken – a seaman’s church – opened in the main street in 1942 and King Haakon VII visited the community and met his compatriots the following summer. 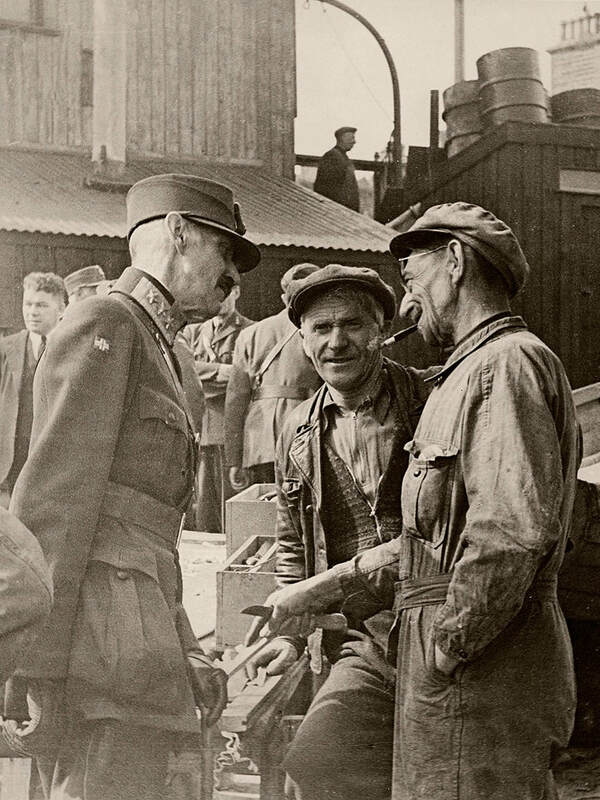 HM King Haakon VII of Norway visits workers at the Norwegian Slip in Buckie, 10 July 1943. Prof Reid said: “What inspired me to get involved in this project was two-fold. Firstly, my grandmother married one of the Danish exiles and they went to live in Esbjerg after the war. “But the other thing is that, in Buckie cemetery, there is the grave of a little six-year-old Norwegian girl, Aud Oline Ramstad. “And, because she was buried near to my own family’s graves, I look after it too, tidying it, repainting it and planting flowers. “That set me thinking about researching the stories of the Norwegians and Danes who came and lived in Buckie more fully. “This venture has drawn on archive sources, oral history testimony, personal narratives, photographic collections and newspaper reports. And it is very much a work in progress. Nordic Lives isn’t just a collection from the past. Next week, on March 8, there will be the premiere of a new work in a collaboration between Eyvind Gulbrandsen, a Norwegian-born musician and sound artist and James Johnson, a light artist, at St Nicholas Kirkyard in Aberdeen. Prof Reid added: “We even managed to get a European Year of Cultural Heritage Artist Residency and we want to encourage more people to take an interest in the shared bonds between the Nordic countries and Scotland, both during the war and now, almost 80 years later. “The Ramstads lived at 2 Union Terrace in Buckpool and the parents, Elias and Signe, lost their daughter to endocarditis and gastritis. They returned to Norway after the war and lived until 1989 and 1990. “There are so many memories of the refugees and some stayed in the north east. 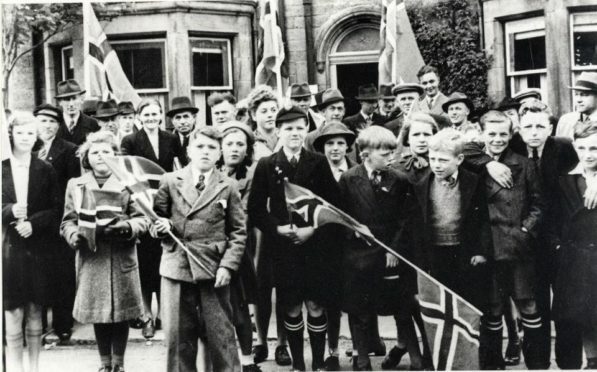 A new website www.hjem.org.uk features lots of poignant memories and images about Little Norway.